Brad Ford, designer of model residence 6A at Cast Iron House, weighs in on how to design the lighting for your home. The Cast Iron District is one of the most particular zones of New York. 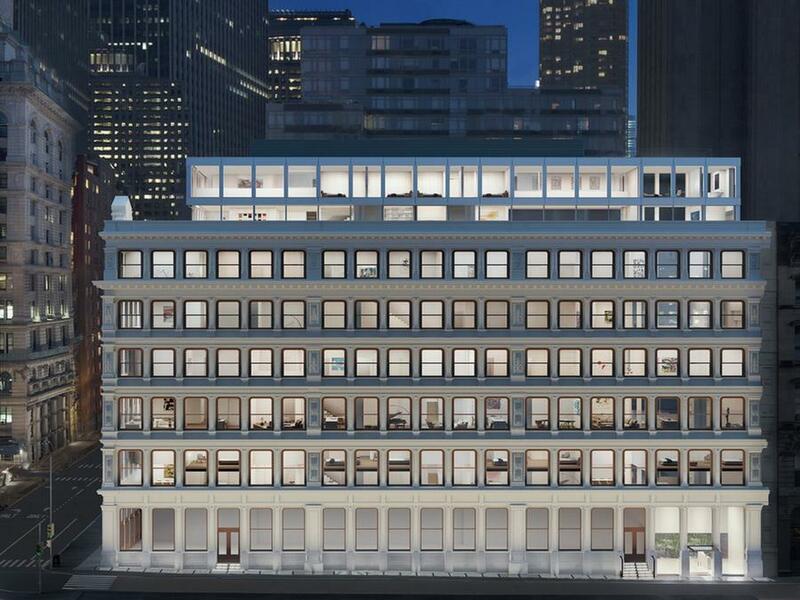 The first look of the new apartment from Cast Iron House, the 135-year old New York building being renovated by Japanese architect Shigeru Ban has been released. First apartment unveiled inside Shigeru Ban's revamped Cast Iron House. Take a first look inside Shigeru Ban's Cast Iron House Residences in New York. Located on the corner of Franklin Street and Broadway, the building contains 11 duplex residences - ranging from three to five bedrooms - and two penthouses. 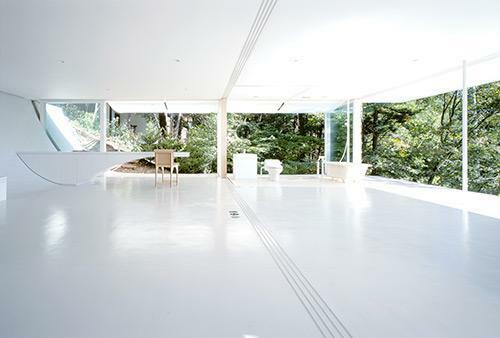 Shigeru Ban on his masterfully minimalist interiors for Cast Iron House. Curbed New York took a video tour of Cast Iron House in Tribeca, where Pritzker Prize-winning architect Shigeru Ban reimagined all thirteen duplex homes. Christian Slater was spotted shooting the cover of Haute Living Los Angeles' August issue in a gorgeous duplex residence at Cast Iron House, at 67 Franklin Street in Tribeca. Brad ford creates a living showroom in one of Manhattan's buzziest condo buildings. Cast Iron House is featured in ARHITEXT Magazine, highlighting the extensive restoration and Pritzker Prize- winning architect Shigeru Ban's, brilliant work on the project. Shigeru Ban's Cast Iron House unveils its stunning model apartment. This is the Pritzker Prize winner's second New York City project following West Chelsea's Metal Shutter Houses. Curbed mapped a list of New York City developments that will welcome residents in 2016, Cast Iron House was included. 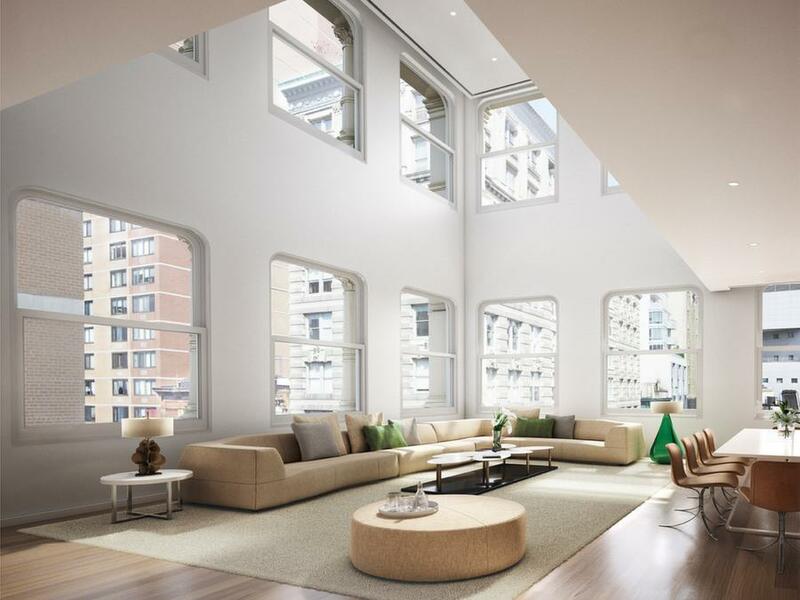 Architect, Shigeru Ban designed the residences at Cast Iron House in Tribeca. The building's 19th century cast iron façade was carefully preserved. New York property: Broadway typifies city's booming real estate- A surge in new condos on Manhattan's famous road offers a snapshot of the changing housing scene in the borough. Critically acclaimed Japanese architect Shigeru Ban has infused a dash of modernity to this neoclassical building on New York City’s 67 Franklin Street, redesigning its interiors while adding two contemporary penthouses that are suspended by a cantilevered Vierendeel truss. As ever-more glass towers soar above the city, some high-profile buyers opt for the splendid isolation of smaller buildings. Casa Vogue featured Cast Iron House in their new development round up, which featured architecturally significant projects in New York City. The concept of sustainable design and contemporary construction are reflected in the renovation of Shigeru Ban's Cast Iron House. The Tribeca lofts for sale at the Cast Iron House now incorporate both contemporary design and conveniences within their reimagined 19th-century home. Pritzker Prize-winner Shigeru Ban has reinvented the landmark building from top to bottom by placing plush amenities such as an in-house Turkish bath along with 13 modern, double-height condos inside its historic exterior. Pritzker Prize-winning architect Shigeru Ban’s Cast Iron House is taking shape at 67 Franklin Street. While the two Tribeca penthouses for sale in this uniquely reimagined building have just recently hit the market, they’re already garnering plenty of interest, thanks in large part to their spacious layouts. Measuring up to 4,500 square feet with 20-foot ceilings, each penthouse also boasts spectacular views from 1,531 square feet of private terrace space. New York City’s lavish condo market is a playground for world-renowned architects, and the growing number of luxury Tribeca lofts for sale supports that sentiment. Recent recipient of the coveted Pritzker Prize Shigeru Ban brings remarkable design elements to Tribeca’s historical Cast Iron House, which is home to 11 duplex condos ranging in size from two to five bedrooms, as well as two of the most desirable penthouses in NYC. Ban’s first New York condo is a thoughtful restoration of a 19th-century building on Franklin Street, and with its stunning appearance, spacious penthouses, and access to top amenities, it’s no wonder that 30 percent of the building’s units are already spoken for or sold. Sales have finally launched for the Tribeca lofts and penthouses at Franklin Street’s Cast Iron House. Pritzker Prize-winning architect Shigeru Ban has transformed the 1882 structure to feature 11 modern duplex residences ranging in size from three to five bedrooms and measuring up to 1,500 square feet, as well as two luxurious penthouses. In addition to double-height ceilings, these unique homes are outfitted with marble islands and counters, Dornbracht fixtures, and Gaggenau appliances. The building, which expects to welcome its first residents in 2015, is also home to a number of luxury amenities such as a fitness center and a spa. You may not be able to set foot in the Tribeca lofts and penthouses for sale at Franklin Street’s Cast Iron House until the end of the year, but you can still enjoy a hands-on tour of the building’s spectacular residences. A scale model of the building, which is currently undergoing a metamorphosis at the hands of Pritzker Prize-winning architect Shigeru Ban, is now available for viewing by potential residents. Behind the lovingly restored 1882 cast iron façade, future residents can take a visual tour of the building’s 11 duplex residences and two penthouses. Also available to view: miniature models of some of the building’s highly sought-after amenities, including its state-of-the-art gym and spa. CEO and Founder of Knightsbridge Properties Jourdan Krauss’s passion for historical buildings and Pritzker Prize-winning architect Shigeru Ban’s thoughtful approach to contemporary design have come together in the stunning new Tribeca lofts on Franklin Street known as Cast Iron House. After 10 years of restoration, which included the lengthy and time-consuming process of repairing the original cast iron façade, the 13-unit complex will welcome its first residents in 2015. World-renowned architects like the Pritzker winning Shigeru Ban lend a certain cache to the projects they choose, and their star power can—at times—over shadow the work. 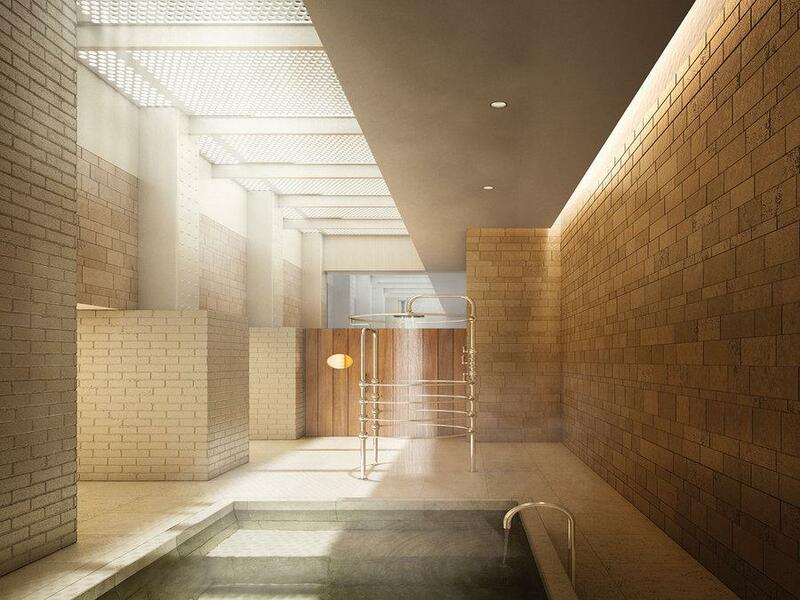 Knightsbridge Properties brought on Shigeru Ban not for his fame, but for his design skills and aesthetic acumen—and the stunning results of the new Tribeca residences for sale at the Cast Iron House justify their decision. A landmark building initially constructed in the 1800’s, Cast Iron House has kept much of the original, eye-catching façade, opting to restore the exterior while rebuilding and modernizing the interior. What resulted is a wonderfully cohesive mix of historical and contemporary design. Cast Iron House is home to some of the more jaw-dropping luxury lofts and penthouses in NYC, which boast large windows, luxurious amenities and impressive views. Having honed their craft for redesigning historic buildings in cities like London and Berlin, Knightsbridge Properties has set its sights on New York with its transformation of the Tribeca lofts and penthouses at Franklin Street’s Cast Iron House. To help develop their vision, the company placed the project in the capable hands of Pritzker Prize-winning architect Shigeru Ban, who has transformed the building into 11 duplex condos, which range from three to five bedrooms, and two spacious penthouses. In addition to their superior living spaces, Cast Iron House residents will soon be able to enjoy numerous amenities including a 24-hour concierge, fitness facilities, a children’s playroom, and a spa. On their sightseeing tour of Manhattan’s most impressive architecture, Architectural Digest and Cadillac made it their mission to take a peek at the Tribeca lofts and penthouses for sale at Cast Iron House. Pritzker Prize-winning architect Shigeru Ban has transformed a 19th-century cast iron building into modern luxury duplexes. Their building may be more than 130 years old, but the Tribeca lofts in Franklin Street’s Cast Iron House have been given new life thanks to Shigeru Ban. The Japanese architect and recipient of the 2014 Pritzker Prize maintained the landmark’s original cast iron façade for which it was named, while meticulously updating its 11 duplex residences and two penthouses. Each residence now reflects a modern aesthetic with white oak flooring, white lacquer cabinetry, and double-height ceilings, providing a playful juxtaposition to the building’s 1882 exterior. Sky-high ceilings are now the height of luxury in the New York City real estate game. The Tribeca lofts and condos at Franklin Street’s Cast Iron House have the competition beat in the headroom department, offering ceiling heights of up to 25 feet thanks to the creative vision of Pritzker Prize-winning architect Shigeru Ban, who has reimagined the 19th-century building’s 11 duplex residences and two penthouses for the present day. Built in 1882, Franklin Street’s Cast Iron House may have a long history in New York City, but the re-envisioned Tribeca lofts and penthouses within its walls are raising the bar for contemporary luxury living. Architect Shigeru Ban, who was honored with the 2014 Pritzker Prize, has transformed the building, first restoring 4,000 pieces of ironwork from its façade and then setting his sights inside. Each of the landmark’s two new penthouses embodies the best of current design, with unique glass exterior walls that peel back to reveal a spacious private terrace. The building’s other duplex units are no less majestic, boasting double-height ceilings, oak floors, and white lacquer cabinets, all of which contribute to a sleek modern feel. Architect Shigeru Ban has elevated the Tribeca lofts and penthouses at Franklin Street’s Cast Iron House both literally and figuratively. In addition to adding dramatic style to the building’s 11 duplex residences through the incorporation of double-height ceilings, modern white lacquer cabinetry, soaker tubs, and heated marble floors, Ban created two penthouses that appear to float on air above the building. The penthouses, which feature open-concept kitchens and living rooms, also seem to go on forever, thanks to exterior glass panels that can be retracted to expose an additional 1,400 square feet of outdoor space. The penthouses’ amenities may be unparalleled, but every resident in the building can expect incredible extras, including a fitness center and yoga studio, a hydrotherapy studio, a playroom, a lounge, and plenty of storage space. The Shigeru Ban-designed Tribeca lofts and penthouses for sale at Franklin Street’s Cast Iron House are finally getting treated like the works of art they are. A 3D model of the redesigned 1882 building, created by Richard Tenguerian, is now on display at the Cast Iron House sales gallery. The model shows some of the building’s most notable details, including the 4,000 restored pieces of the original cast iron façade that face the street. From the double-height ceilings in each of the 11 duplex residences to the two penthouses, which appear to float above the rest of the building, the unique replica captures the unusual elegance and meticulous attention to detail that make this Tribeca building such a triumph. Lauded by developer Knightsbridge Properties as a “neoclassical landmark,” Franklin Street’s Cast Iron House is now the site of coveted Tribeca lofts and penthouses for sale. The late 19th-century building’s rebirth has been a labor of love for architect Shigeru Ban, who has restored more than 4,000 decorative pieces of the structure’s famous façade. While much of the lower-Manhattan landmark’s original charm has been maintained, the two penthouses that sit atop it boast the best of modern design, with glass exterior walls that can be retracted to reveal each residence’s spacious private terrace. Updating the Tribeca lofts and penthouses for sale at Franklin Street’s Cast Iron House required more than just skill, it required vision. 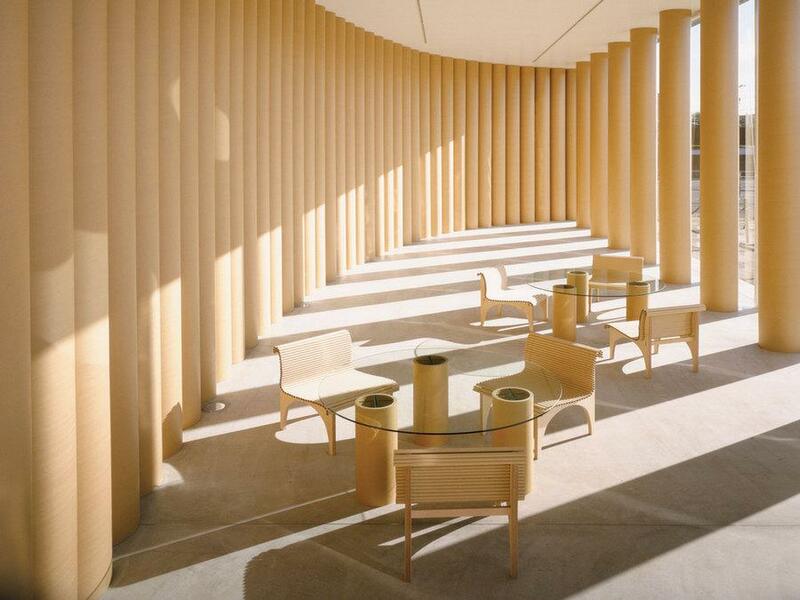 To ensure that the renovation of the 1882 building was done properly, Knightsbridge Properties brought in Pritzker Prize-winning architect Shigeru Ban, whose deft hand has transformed this New York City landmark. In addition to modernizing the interior of the building with double-height living spaces, cantilevered glass panels on the penthouses that open to reveal massive exterior spaces, and amenities including a sleek, modern steam room and sauna, Ban has also maintained much of Cast Iron House’s original detail, including the painstaking restoration of 4,000 pieces of the 1882 structure’s original cast iron façade. 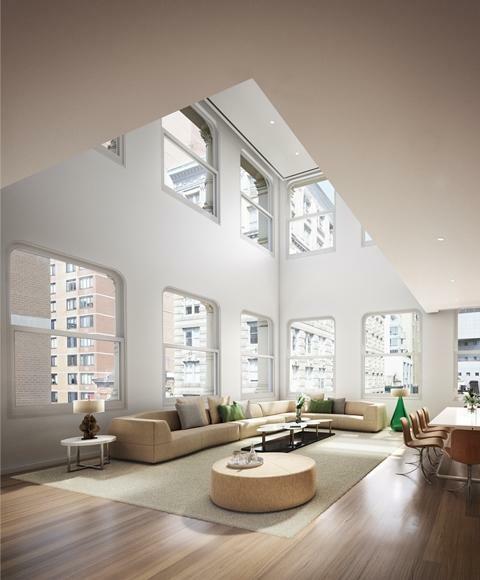 Architect Shigeru Ban’s transformation of Franklin Street’s Cast Iron House into luxury Tribeca lofts and penthouses for sale has infused the neighborhood with a breath of fresh air. The 132-year-old structure has been completely reimagined by Ban, who created 11 duplex apartments with ceilings rising up to 25 feet, and two massive penthouse units that employ retractable glass panels to blend each residence’s interior and exterior space. In addition to copious living space, the building will feature 24-hour doorman service as well as a fitness center, spa, sauna, children’s playroom, and storage space. 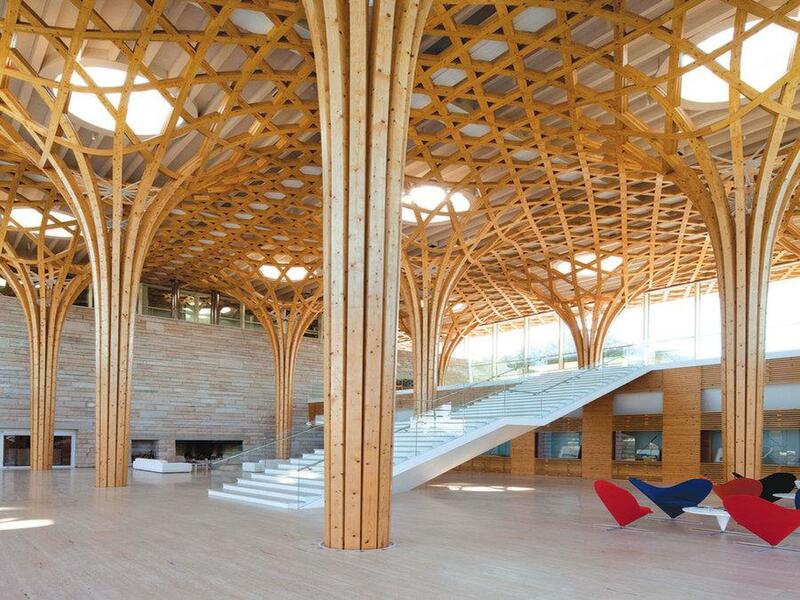 With each completed building, architect Shigeru Ban’s star continues to rise, and it’s clear that his notoriously competitive industry has taken note. Ban was recently awarded the Pritzker Prize for his inimitable work on everything from luxury condos to emergency housing. In New York City, Ban’s latest work at Franklin Street’s Cast Iron House is earning him plenty of praise as well. The 13 Tribeca lofts and penthouses nestled in and atop the 1882 structure are being touted as the most notable new construction in the city, with potential residents eagerly awaiting their chance to get a piece of this unique development. In Lower Manhattan, Shigeru Ban’s new vision for the Cast Iron House, built in 1882, is setting a new standard for Tribeca lofts and penthouses. The Franklin Street building has been transformed into 11 luxury duplex apartments, atop which sit two newly built penthouses that appear to hover over the building when viewed from street level. While the building’s duplex residences are replete with sought-after features, from 25-foot ceilings to custom white lacquer cabinetry, the penthouses take the cake when it comes. The New York real estate market is about to be home to a new crop of intriguing and highly sought-after Tribeca lofts and penthouses thanks to the launch of sales at Franklin Street’s Cast Iron House. Built in 1882, the building has been updated by Pritzker Prize-winner Shigeru Ban, under whose supervision the original façade has been restored and the interior transformed into luxury homes. The building now houses 11 duplex residences and two penthouses measuring up to 4,500 square feet. Each residence has been outfitted with luxe details, including white oak flooring, soaring 17 to 25-foot ceilings, and heated marble flooring in the master bedrooms.The building’s common areas include a number of calming amenities from a relaxing spa, sauna, and steam room inside to tranquil outdoor space featuring a lush private garden. For fans of both classic architecture and modernism, the Tribeca lofts and penthouses at Franklin Street’s Cast Iron House offer a stunning reminder of what architectural ingenuity can create. While the 1882 building’s exterior serves as a nod to its historic past with 4,000 original decorative pieces, the interior’s 11 duplex residences and two striking penthouses measuring up to 4,890 square feet are setting the standard for the neighborhood’s future developments. The Tribeca penthouses for sale at Franklin Street’s Cast Iron House may have a distinctly modern aesthetic, but their sleek design masterfully complements, rather than detracts from, the original splendor of the late-19th-century building. 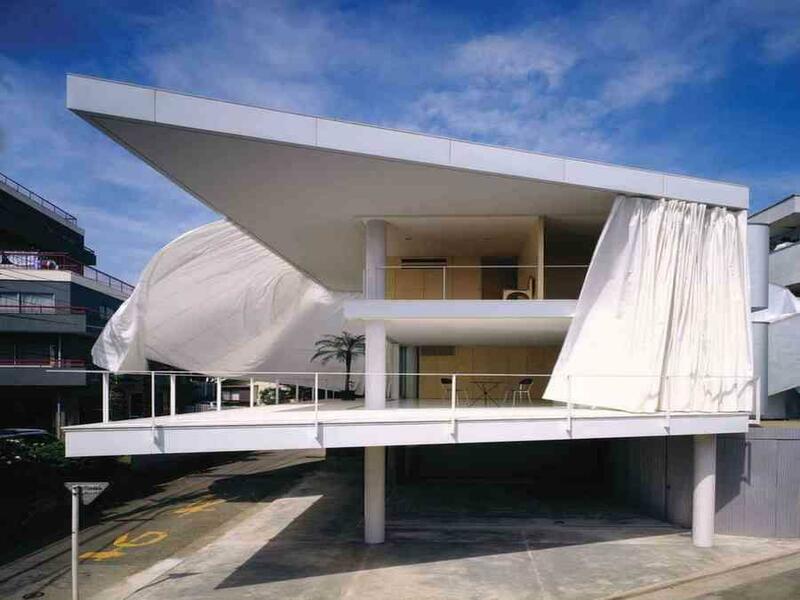 By renovating the interior into 11 duplex residences with double-height ceilings and adding two spacious penthouses to the top of the classic structure, architect Shigeru Ban has proven that, with a deft hand, the old and the new can be flawlessly combined. When tasked with converting the 1880s-era Cast Iron House into luxury Tribeca lofts and penthouses, architect Shigeru Ban opted to pay tribute to some of the structure’s more unique features while updating the space for today. The result has been nothing short of remarkable. 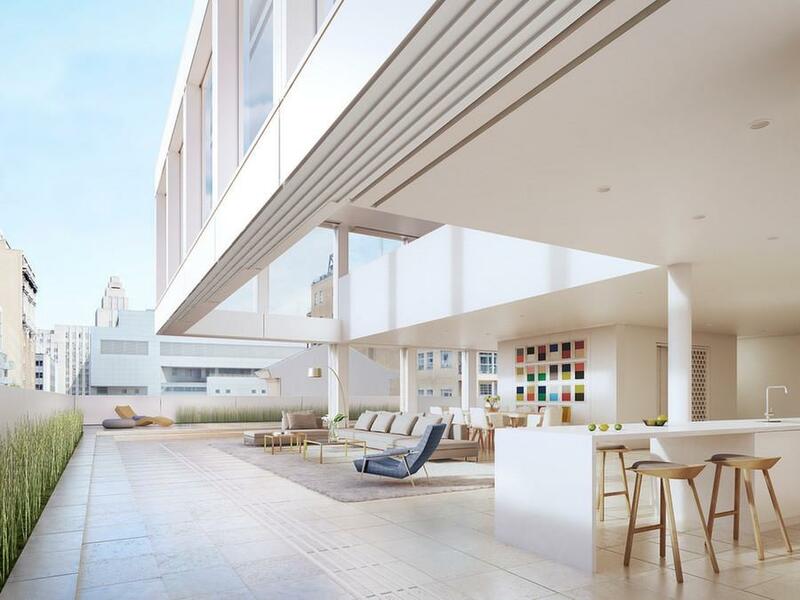 Within the building’s restored cast iron exterior are 11 modern duplex residences, atop which sit a pair of inventive penthouses that allow residents to seamlessly blend interior and exterior space through the use of retractable glass panels. The Tribeca penthouses for sale at Cast Iron House are unlike anything New York City has ever seen as they combine the remarkable exterior design of the original 1882 structure with graceful modern architecture within. Sitting atop the landmark 19th-century building, two penthouses designed by architect Shigeru Ban make up an entirely new structure that combines form and function, with both employing cantilevered glass panels to seamlessly incorporate their spacious private terraces into their interior design. The luxury Tribeca lofts and penthouses for sale at Franklin Street’s Cast Iron House have a unique and striking profile thanks to architect Shigeru Ban’s incredible vision for the 19th-century structure. The Cast Iron House’s two penthouses, which sit atop the revamped 1880s structure, are of particular note due to their creative combination of interior and exterior space. 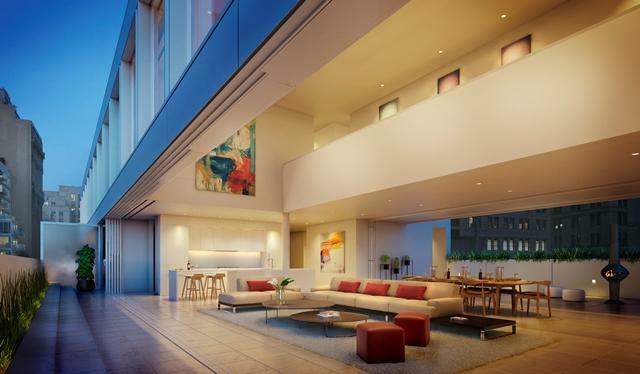 Offering residents up to 4,500 square feet of indoor living space, the two penthouses transform when their exterior glass walls are retracted to reveal their roomy private terraces. The Cast Iron House in Tribeca will soon allow residents to know what it feels like to truly be on top of the world. The two duplex penthouses, designed by architect Shigeru Ban, will stand in stark contrast to the original design of the 132-year-old landmark building, adding a stylish and modern touch to the classic Tribeca loft building. Unlike the condominium building's other duplexes, which range from 2,850 to 4,890 square feet, the penthouses will encompass between 3,800 and 4,560 square feet of indoor space, with cantilevered doors opening fully onto the penthouses' additional 1,430 and1,530 square feet of private outdoor sanctuary. History meets modern living at Cast Iron House, the newest luxury Tribeca lofts from Pritzker Prize-winning architect Shigeru Ban and Knightsbridge Properties. Cast iron accents are integrated into the design in a thoughtful homage to the original materials used in the construction of the 133-year-old building. In addition to 11 duplex condos, Cast Iron House is also home to a pair of the most spacious penthouses in NYC, the largest of which is 4,500 square feet and includes 1,500 square feet of outdoor terrace space. Ban’s thoughtful cantilevering design, which utilizes sliding glass walls, allows picturesque views of lower Manhattan and nearby waterfronts to be enjoyed from both indoors and out.